San Diego, CA: The MobiSystems Drive cloud service, previously OfficeSuite Drive, is now accessible through a web interface. The storage limits, available to users, have also been enhanced and now offer up-to 50GB of cloud storage. This is great news for more than 1.5 million OfficeSuite (Android, iOS and Windows) and File Commander (Android) users who will enjoy extra flexibility of easy file transfer and synchronization capabilities through the web interface. These users can now access the 10 million files they have stored on MobiSystems Drive, from any web browser and any device running iOS, Android or Windows. OfficeSuite and File Commander users get access to 5GB free storage for their files, whereas different premium account plans allow for storage amounts up to 50GB. 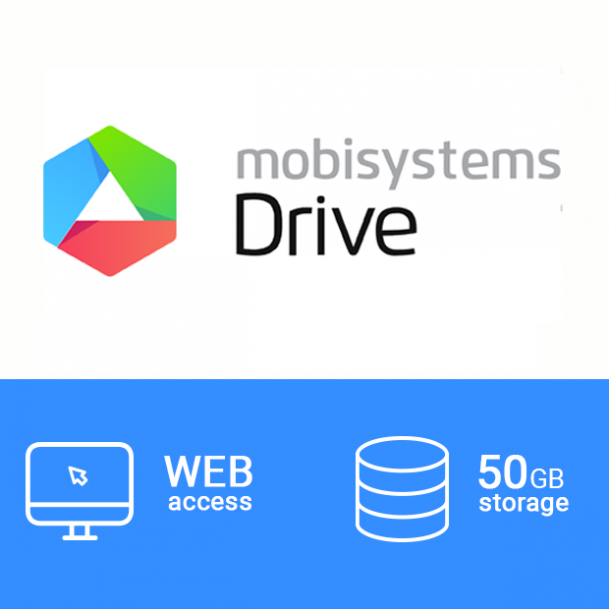 The MobiSystems Drive is integrated seamlessly into both products and one single account would allow users to manage their storage.